A pioneer in the innovative financing movement, Philippe Douste-Blazy is currently Special Advisor to the United Nations Secretary-General on Innovative Finance for Development, with the rank of Under-Secretary-General. Douste-Blazy is widely regarded as one of the world’s foremost experts on innovative financing to reach the Millennium Development Goals. In 2006, he founded, at a ministerial level, the Leading Group on Solidarity Levies to Fund Development at the Paris Conference on Innovative Development Financing Mechanisms. He serves as Special Advisor to the «High-Level Taskforce on Innovative International Financing for Health Systems”, co-chaired by Robert Zoellick, President of the World Bank, and Gordon Brown, Prime Minister of the United Kingdom. In 2006, he was elected President of UNITAID, a multilateral South-North organization and a global health partnership established under the auspices of the United Nations to fight AIDS, tuberculosis and malaria among the world’s most vulnerable populations. UNITAID is based at the World Health Organization Headquarters in Geneva, Switzerland. Douste-Blazy has held several ministerial positions in his native France, including Minister of Health (1993-1995), Minister of Culture and Communication (1995-1997), Minister for Solidarity, Health and Family (2004-2005) and Minister of Foreign Affairs (2005-2007). 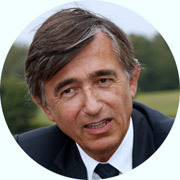 Prior to embracing policy initiatives, Douste-Blazy was a practicing cardiologist and Professor of Public Health at Toulouse University in France.